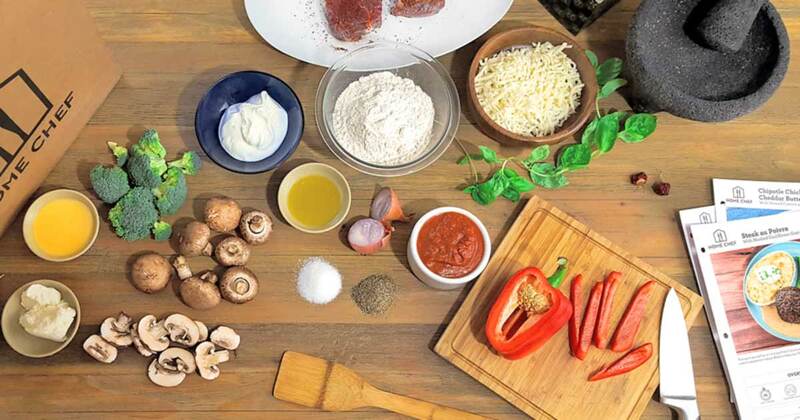 When you think about delivery, you probably don’t imagine a balanced, well-rounded meal—more like pizzas and pad thai, right? But healthy meal delivery services are out there, and there are a lot of them. There are a slew of options that make food prep painless (with good-for-you ingredients, too). So we’re here to help you sort through the bunch to find your delivery soulmate. 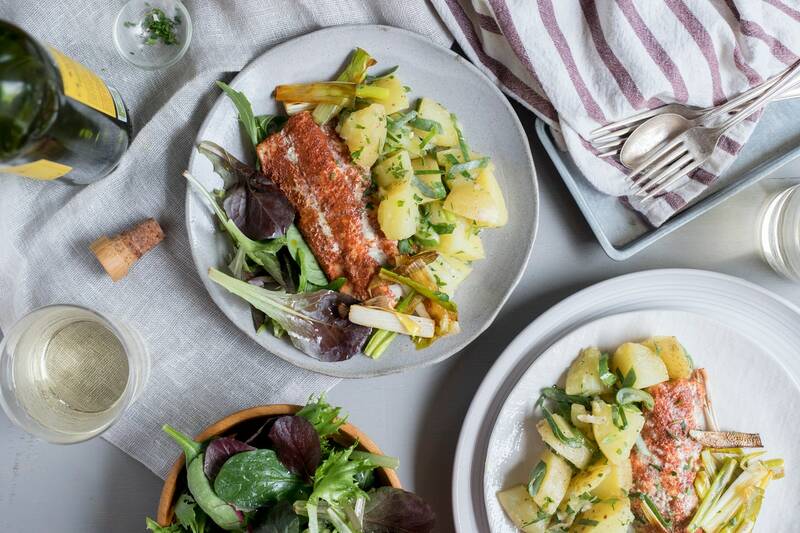 These healthy subscription services, which offer either prepped or pre-made wholesome recipes and meals, are easy to pull together, taste damn delicious, and are available to be dropped at most doors nationwide (some even deliver internationally). 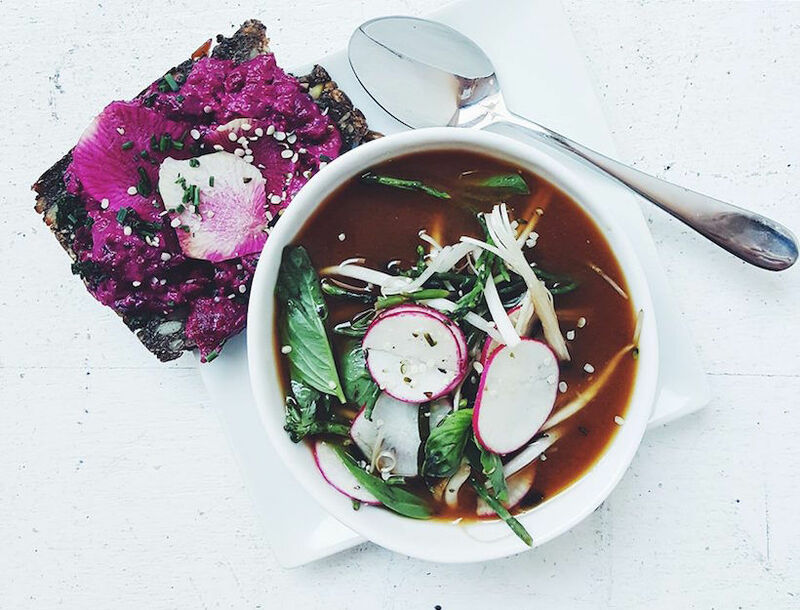 It’s practically impossible to not find a healthy food delivery service that’s perfect for you. So, what’s for dinner? Read on to find out. The details: With meal planning options for vegans, vegetarians, pescatarians, plus for those managing diabetes, eating paleo or gluten-free, Sun Basket has the healthy food bundle for your particular eating yen. Its ingredients are organic, and antibiotic- and hormone-free, and they come in recyclable, enviro-friendly packaging. And the best part: Sun Basket promises each recipe can be thrown together in 30 minutes or less. If you’ve got food rules to manage, but not a lot of time to cook, this is the healthy meal delivery service for you. 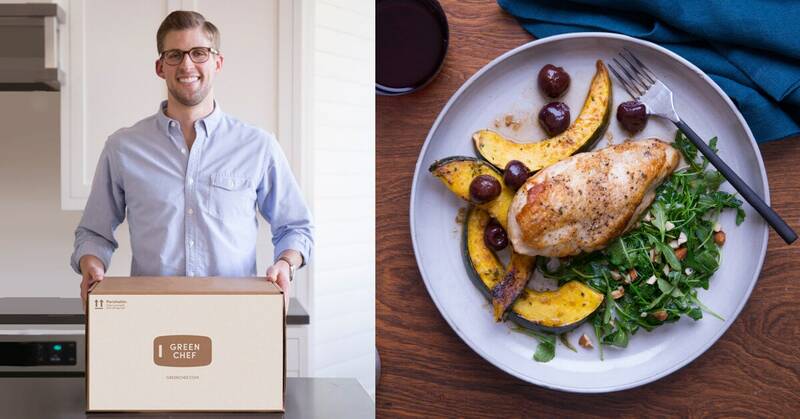 Cost: $36.94 for your first box, including three meals for two people. The details: There are 13 meal options each week with Home Chef—for example, there’s currently an incredibly delicious-looking blue-cheese-encrusted steak as well as a classic coq au vin—making it ideal for those looking to please picky, highbrow palates or those who love the finer things in life. And, the service makes it far more affordable (and convenient!) than it would be to shop for these ingredients on their own. Cost: $59 for three meals for two people, includes all sauces, salts, and oils. The details: There are 10 different recipes offered each week, in either two- or four-person servings. The easy-to-follow, minimal-step meals come in meat and vegetarian options—everything from pork tenderloin with cauliflower mash and snap peas to chickpea- and superfood-laced salads. And now, Hello Fresh is offering food so nice you can eat it twice, with Dinner 2 Lunch, they’re solving the age-old dilemma of “seriously, how do you pack lunch ever?” Dinner recipes come with additional ingredients and instructions to tweak your leftovers for a killer next-day lunch: chorizo beef chili becomes a chili burrito for lunch; sausage and zucchini pizza is reimagined as a salad. If you’re new to cooking, this just made figuring out one more meal that much easier. Cost: Three two-serving meals start at $55. 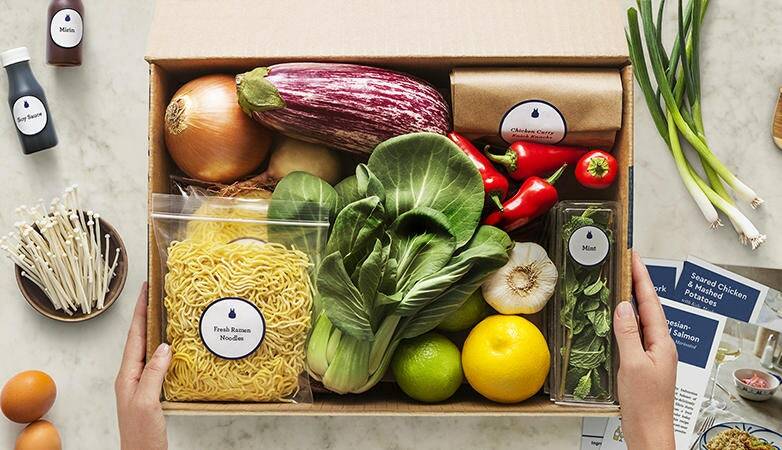 The details: Blue Apron is the OG healthy meal delivery service, and it continues to be one of the best for a reason—they’re good at what they do. 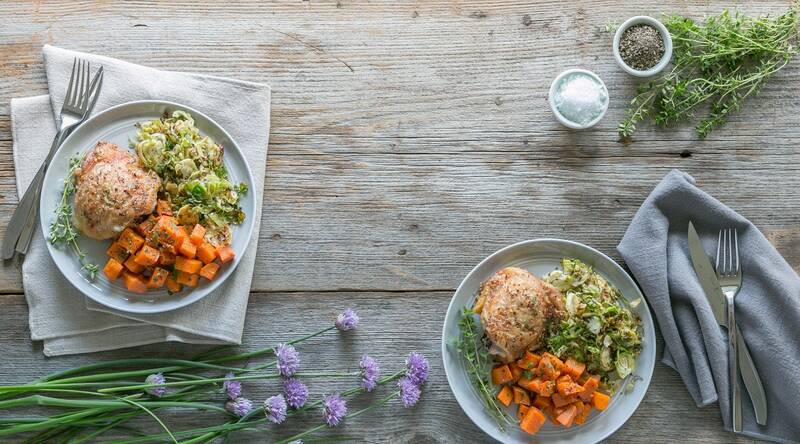 Since their launch in 2012, Blue Apron has shipped over 8 million meal prep kits worldwide. Every ingredient is measured, portioned, and packaged, and the step-by-step instructions are easy to follow. It’s worth noting that some meals can take a bit longer than others, but the menu is second to none, with offerings ranging from spaghetti bolognese and za’atar chicken to something like saag paneer. You can add a wine pairing to your order, too. Cost: Two-person plans, with three meals per week, start at $60. 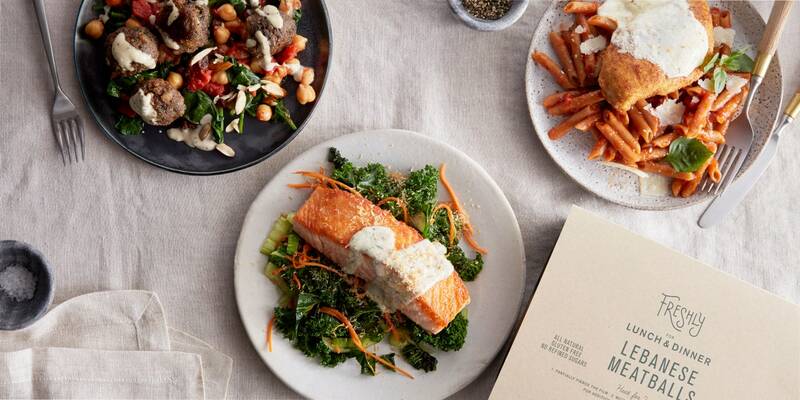 The details: A truly customizable meal-planning service, Plated is for folks who want to try a little bit of everything, without committing to the same kind of foods (on the same day) week after week. There are 20-plus recipes to choose from—and desserts. You can choose menus fit for two, three, or four people; and for two, three, or four nights a week. But switching up these numbers from one order to the next means you can cook for yourself, or use your Plated box for a straight up dinner party, using sustainably-caught fish, hormone-free meats, organic produce, and small-batch or artisanal ingredients you’d be hard-pressed to find in your desperate last-minute bodega run. Recent recipes include cuisine mashups like shakshuka pizza and roasted zucchini bibimbap, plus classics like a juicy hamburger. The cost: $71.70 for two servings, three meals a week. Cost: Five meals for one person start at $125. The details: Originally available only in New York but now shipping to locations all over the country, this vegan supplier offers plant-based, superfood-heavy meals like seasonal salads, sandwiches, and protein bagels with cashew cheese spread. 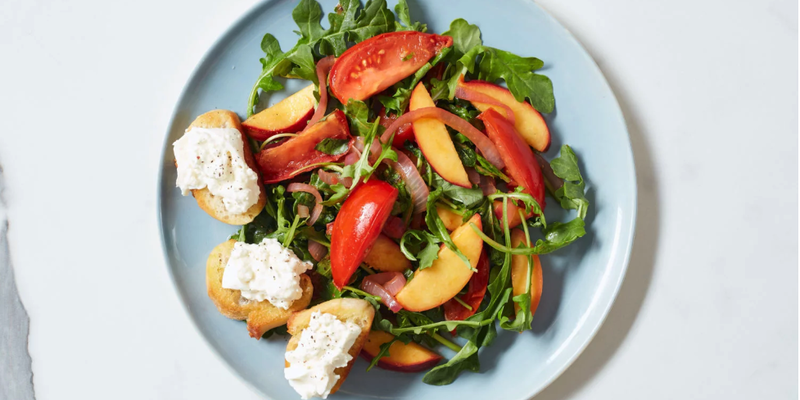 It’s all quite pretty (not to mention gluten-, dairy-, egg-, and seafood-free), so plate it beautifully with some good lighting—and nail your caption, of course. Cost: Packages start at $99 per person per day for a five-day plan. 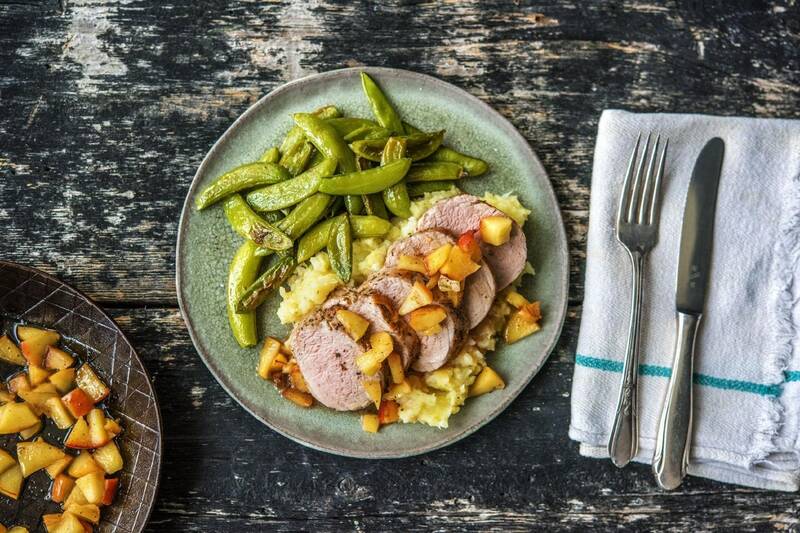 The details: The big promise with Freshly’s premade meals is that you can have breakfast, lunch, or dinner ready in two minutes or less—something we hadn’t heard promised outside of a frozen-foods aisle. Nothing’s frozen, either, and you can pull up all the nutritional stats on Freshly’s website to get the quick down-low. Most meals have a high-protein, low-carb profile and zero refined sugars. And their leftover food gets dished out to local food banks and shelters, ensuring there’s limited waste and that as many as possible benefit from the nutritional goodness they’re whipping up. All meals are kept insulated in biodegradable, recycled denim totes—an eco-friendly alternative to styrofoam—which you’ll want to schlep your leftovers in for lunch the next day. Cost: Four meals per week for one person start at $50. 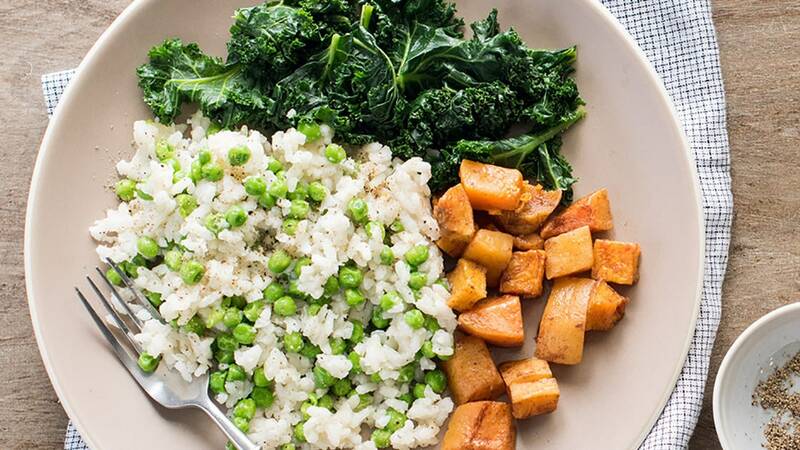 The details: This is the first-ever USDA-certified organic meal kit—free of synthetic pesticides, growth hormones, antibiotics, and GMOs. You can order omnivore, paleo, and gluten-free meals, which are updated weekly. Ingredients come packaged, labeled, and color-coded for organized cooking, and they all take 30 minutes or less to prepare. Other stuff we love: the eco-friendly packaging (the boxes are literally mini fridges, upping the cute factor), the fact that there’s no commitment, and the flexible delivery dates. It’s probably the most chill meal prep kit of the bunch. Cost: Two-person plans, with three meals per week, start at $63. Cost: Meals start at $10 to $12 à la carte. The details: Peach Dish offers lightened-up versions of classic Dixie dishes, like cajun-style chicken and sausage gumbo, along with desserts like flourless chocolate cake. Thoughtful touches—think reusable organza bags—lend an extra-homey vibe and make you feel like you’re down South for dinner. Cost: Four servings of one meal starts at $50.